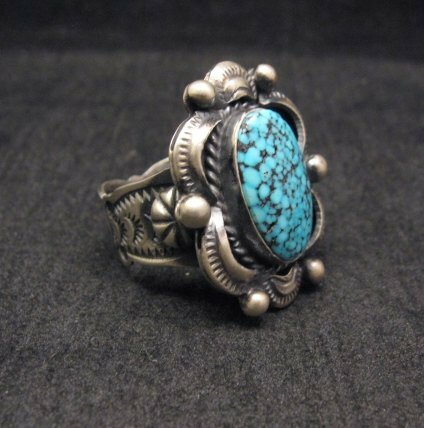 Native American handmade sterling silver & turquoise ring, created by Navajo silversmith, Gilbert Tom. 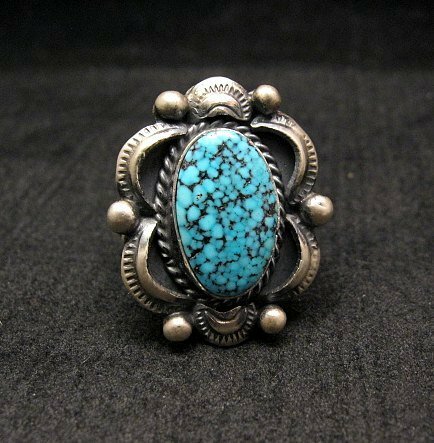 A stunning natural Kingman Web turquoise stone is set in an old pawn style setting. 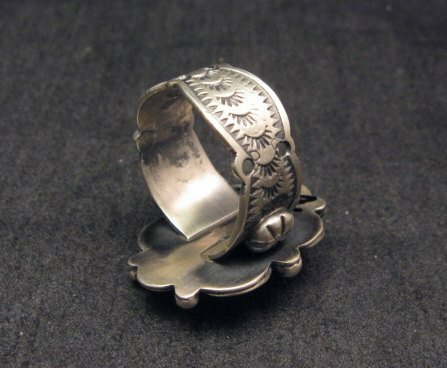 The applied silver work, silver beads and deep stamp work accentuate the beautiful stone. The natural turquoise stone is a bright turquoise color with tight black spiderweb matrix. 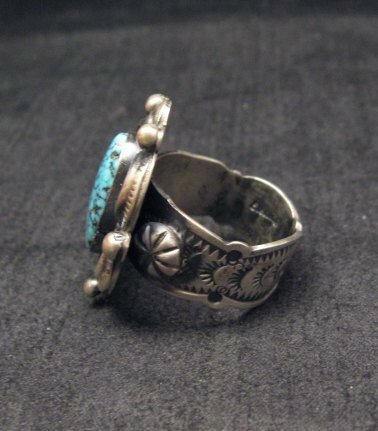 The face of the ring measures 1 inch by 3/4 inch and the ring weighs 10 grams. Wide fancy scalloped stamped band. Size 7-3/4.